Walls are some of the most important parts of the house that should never be overlooked. This is because any visitor that will come to your house, the first thing that he/she will see is wall. Well designed walls will always create a focal point. Are you wondering how you can create a focal point in your living room? Flat floating shelves are among the products that you can put on your wall to create a focal point as well as add beauty. Floating shelves are the best options you can have for arranging your decorative items in the house in an orderly manner. Typically, every house or office requires some kind of shelves to increase storage capacities. Well arranged shelves can turn an untidy storage area into a practical and attractive display. Looking for a flat floating shelves selling shop in Kenya? 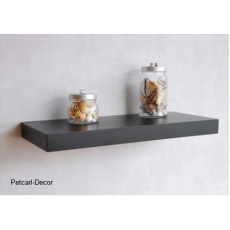 Petcarl Décor is a genuine shop that you can trust to provide you with quality and unique shelves.